Can I edit the address to customize the country list? 1. Can I edit the address to customize the country list? 2. Can I customize field edits to show error messages? 3. do you have an API? 4. If we use authorize.net do we need a merchant account and a authorize.net account? There is no way to edit the countries list of the Address tool. 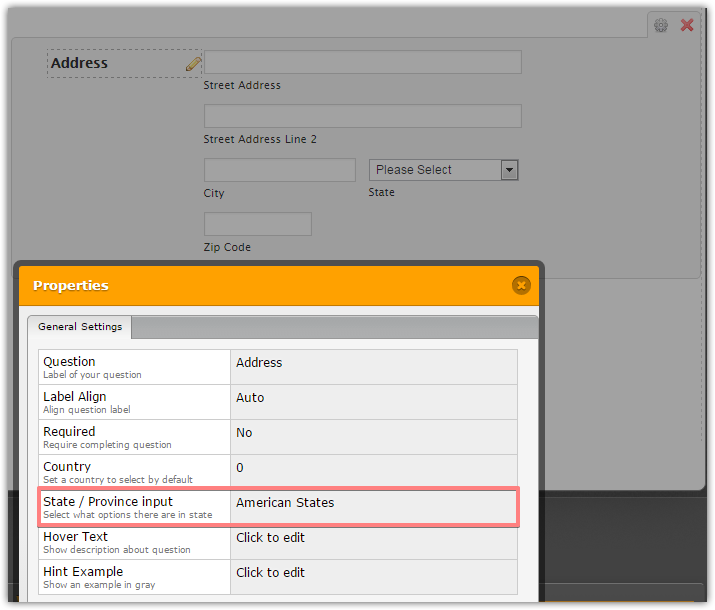 However, this is possible to hide the Country drop down and switch the State input into American States drop down. 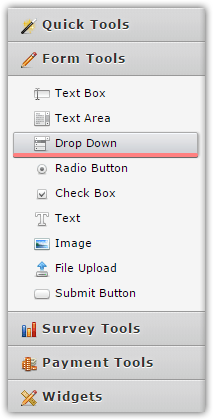 Any items can be added to the standard Drop Down field. Other questions have been moved into separate threads, so that we will be able to address them properly. We will get back to you quickly.